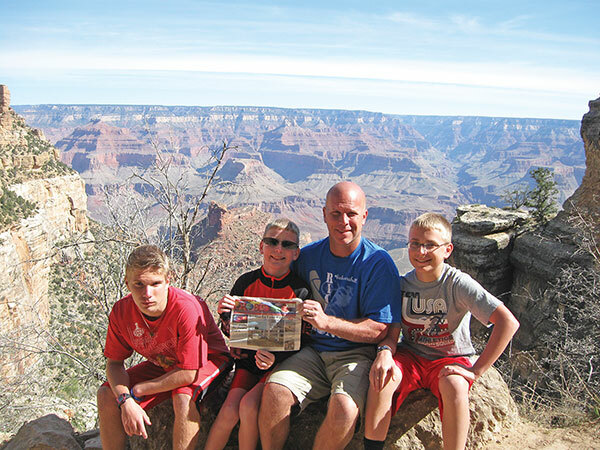 Chris and Kelly Moleski, along with boys Jaydon, Carter, and Elliot, traveled to Arizona for Spring Break. 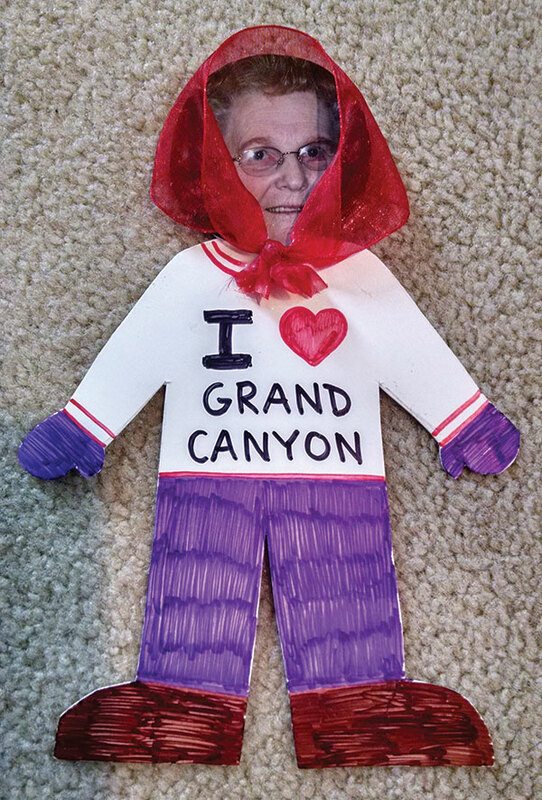 They took two special visitors with them—The Cedar Post and “Flat Gran.” While the Post seems to have ventured to Arizona many times recently (as chronicled in recent issues), this was a first for Flat Gran. 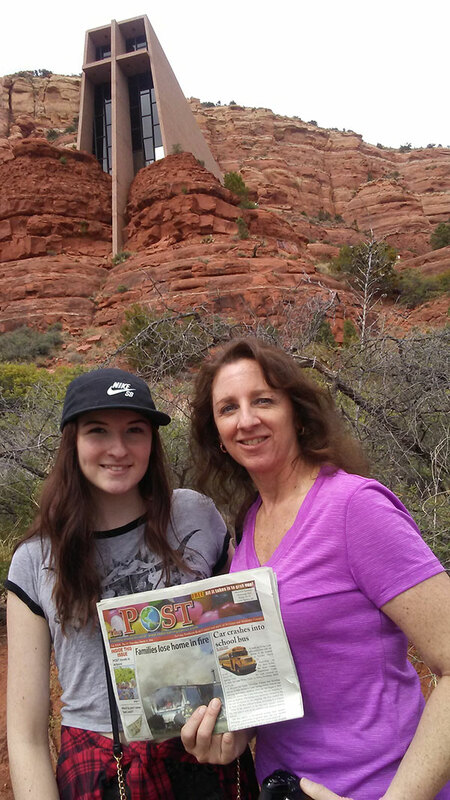 Their great-grandmother, Florence Eylander, had dreamed of visiting the Grand Canyon. 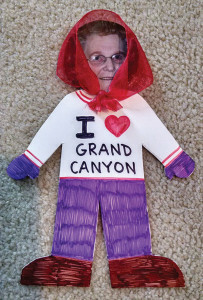 She was surprised to find that a Flat Stanley version of her was accompanying the family on their trip. Florence was delighted by the daily emails and pictures she received that documented her adventures throughout the beautiful state of Arizona, including climbing to the summit of Camelback Mountain; hiking and climbing the beautiful red rocks of Sedona; visiting Slide Rock State Park; exploring a cave in Flagstaff; taking in an Arizona Coyote and an Arizona Diamondbacks/Cubs game (Go Cubs! ); and visiting the Grand Canyon. Wow! It sounds like both Flat Gran and the rest of the Moleski family had a great time! 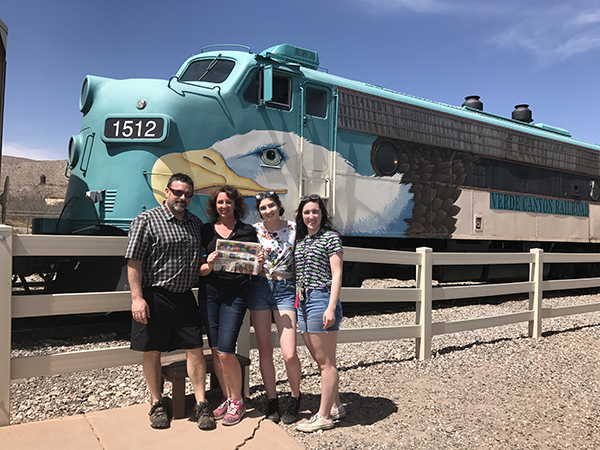 Thanks so much for taking us with you!